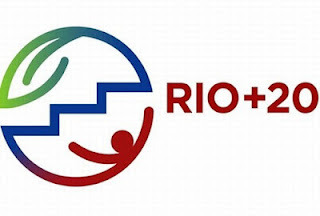 The UN's Rio+20 United Nations Conference conference took place in Brazil last week, the 20-year follow-up to the Earth Summit which first put sustainable development on the global policy agenda. Expectations were low in the run-up to the Rio+ conference as high-profile leaders Obama, Merkel and Van Rompuy said they would be staying home to deal with the economy and in Obama's case, forthcoming election campaign. At election time in the US, it usually doesn't pay too look too 'green'. The weeks leading up to the conference were dominated by the usual pre-summit doom and gloom stories about missing world leaders, hotel rooms at hundreds of dollars a night and unofficial European Parliament delegations sneaking in on European Commission access passes. But what about the actual summit? Did Rio+20 live up to the expectation of failure or has it managed to deliver progress? One of the key expectations of the summit was progress on the 'green economy'. Some industry groups in Europe seemed rattled that the green economy risks taking over policymakers' hearts and mind when they feel we need to green the whole economy. In the European Union press release on the Rio+20 Declaration, Commissioner Potocnik and Danish Environment Minister Ida Auken wrote "Today the world has indicated that we must move towards sustainable development, and the inclusive green economy is a central pathway to achieve this." They said the EU had been ambitious but that they recognise that "Rio is just the beginning" and that more will need to be done internationally. Mark Halle, International Institute for Sustainable Development executive director IISD-Europe, didn't hold back when he declared the Rio+20 summit a disappointing failure, describing the Rio conference as "a massive waste of time and money." Castigating intergovernmental structures as "tired, lacking in vision and courage, and increasingly left behind by the natural momentum of creativity and innovation in our societies," Halle said "we should put our money and effort into organisations and processes that are not exclusively government-based," believing that only the corporate sector has the "advanced strategic thinking and attachment to innovative thinking" that is required to deliver the goods. The balance between the environment and poverty was high on the agenda. It is always helpful to be reminded that sustainable development is not just about the environment and many of the civil society organisations at Rio+20 were pushing for a zero hunger strategy. India, according to an article on BBC News, was calling for poverty to be tackled through sustainability policies which "protect natural resources and use local knowledge." UN Secretary General Ban-Ki Moon challenged nations to achieve 'zero hunger', something which even we in the fat-laden West should also be working hard on. Food systems should be "resilient", he said as he launched the 'Zero Hunger Challenge'. And as green business makes up part, if not all, of the green economy, the State of Green Business 2012 report published earlier this year by GreenBiz.com is worth a read.